The first lesson on photography generally comes after the Romanticism lesson, determined by the date of photography’s public announcement in 1839. You might begin class with a discussion that bridges a review of Romanticism with the introduction of photography. For example, students might debate the question “why was photography invented in the 1820s and 1830s when the camera obscura had been known for centuries?” This open-ended discussion might address a variety of key issues: the desire for optical realism and illusionism in art, previous use of optical devices by artists, Enlightenment advances in science, and the Romantic notion of the supremacy of subjective experience of the world. 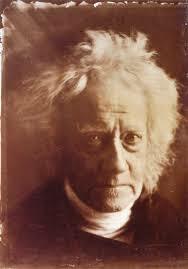 Julia Margaret Cameron, Sir John Herschel, 1867, Albumen silver print from glass negative. Metropolitan Museum of Art, New York. Background readings might include the textbook, selected thematic essays from the Metropolitan Museum of Art or Victoria and Albert Museum websites, or this Smarthistory article. Additionally, the Victoria and Albert Museum provides an excellent guide to photographic techniques. Videos are a good way of demonstrating the difficulties of early photographic processes as well as explaining their later industrialization. The British Museum has a demonstration of the calotype, and the Getty has good videos for both the daguerreotype and the wet collodion process that could be watched in class or assigned along with the readings above. Additionally, the BBC series The Genius of Photography is a great resource from which clips could be viewed in class. Dedicating a lecture or lectures to the history of photography presents students with the opportunity to consider the aesthetic, cultural, and social dimensions of art through a medium they have engaged with throughout their lives. The photography lecture is, therefore, a good place to discuss larger themes such as the relationship of an original to a copy, an image to its material support, and representation to reality. Scope: Since the mid-nineteenth century, photography was considered an objective representation of reality, despite its limitations with regard to capturing color or movement and its capacity for manipulation. This lesson challenges students to reflect on those contradictory but inseparable aspects of photography to consider photography’s role in science and art of the nineteenth century. This lesson focuses on how photographers explored the possibilities of the new medium in a variety of genres including portraiture, scientific documentation, and travel photography, and ultimately as a mass medium and tool of persuasion. The discovery of photography was announced publicly in January 1839 at the Academy of Sciences in Paris. The artist and inventor of the diorama Louis-Jacques-Mandé Daguerre was credited with the invention of what became known as the daguerreotype (a unique photographic image captured on a highly-polished surface of a copper plate.) Canonical surveys of photography often celebrate Daguerre as the inventor of photography, even though there had been numerous earlier experiments to fix the image of the camera obscura (latin for “dark room,” an optical device in the form of a room or box through which an image of nature is projected onto a screen by means of light passing through a pinhole.). For example, Daguerre had partnered with Nicéphore Niépce, who had experimented with photography since the 1820s. Niépce’s 1822 photograph depicting the view from his window was created by means of an eight-hour exposure. By the time Daguerre produced his view of a Parisian boulevard in 1839, the exposure time had been reduced enough to capture one figure who had stopped to have his shoe shined. Why was the view from a window such a popular subject of early photographs?It satisfied the practical need for sunlight combined with the traditions of landscape painting to fix otherwise transitory moments in images like Daguerre’s. In Great Britain, the aristocrat and polymath William Henry Fox Talbot also experimented with photography, producing photograms of botanical specimens on chemically treated paper in the 1830s. Talbot believed photography could provide a valuable aid to scientists, recording data visually for interpretation and experimentation. Hearing that Daguerre’s process had been made public in January of 1839, Talbot rushed to announce the details of his own method. Although the daguerreotype was immediately seized upon for the sharpness of its detail (it is actually clearer under a microscope than viewed with the naked eye)and due to the French government’s publicity of the process, it was Talbot’s negative-positive paper process (the calotype) that formed the basis of all subsequent photography until the digital age. Students might be asked, why do you think the negative-positive process became so important? Photography’s development into a mass medium and potent form of visual communication is presaged in a photograph of the Reading Establishment, a photographic publishing firm established by Talbot. We see a number of the potential uses of photography on display: portraiture, reproduction of art works, and illustrations for books.Why does Talbot include these activities? How does this photograph promote Talbot’s calotype? Assistants demonstrate making a photograph, as well as the process of printing by sunlight. The firm’s initial project was Talbot’s Pencil of Nature, the first commercially published book illustrated with photographs—a milestone in the art of the book. The book’s title indicates that photographs are pictures “drawn” by nature itself, without an artist’s intervention. Yet, The Open Door, which is the sixth plate in the book, places photography within the tradition of Dutch genre painting. What do you see in this photograph that reminds you of Dutch paintings we discussed in class? Talbot emphasizes detail, light and dark contrast, the use of the camera obscura, the relationship between interior and exterior, as well as symbolism of everyday objects. Here, the lamp symbolizes the camera obscura and the broom represents enlightenment. This photograph is about the artistic tradition of realism: everyday life and what the eye sees. Although photography became an important tool for artists, it was not initially considered an art form. The painting movement of Realism emerged around the same time as photography. What do the two modes have in common? How do they differ? The realism of photography was used foremost to capture likenesses in the form of portraits of loved ones and noteworthy figures. Commercial daguerreotype studios proliferated in cities all over Europe, the United States, and eventually across the world. By 1841, exposure times were around 30 seconds to a minute depending on the light, making it much easier to produce images on a commercial scale—though portrait studios still used devices to hold sitters heads still. Daguerreotype portraits were mass produced and were therefore affordable for any middle class person. Why do you think portrait photographs were so popular? Portrait studios, such as the studio operated by Southworth and Hawes, also made photographs of celebrities and politicians, and staged these images to look like paintings. Why? What do you think the attributes of this portrait of Rufus Choate suggest? How is it similar or different to other portraits that you have seen in class?Students might be asked to consider how the viewer’s experience changed as portraits shifted in format from luxury oil paintings on a wall to small hand-held and mass-produced daguerreotypes. Julia Margaret Cameron also applied aesthetic principles of painting to portrait photographs. Taking up photography at the age of 49 after receiving a camera from her children, she used wet collodion on glass negatives and albumen prints to capture the intellectual elite from her upper class social circle. Cameron’s choice of subjects among Britain’s luminaries was both convenient (she lived next to Alfred Lord Tennyson) and strategic: portraits of celebrities were a commercial boon for photographers. Cameron’s portraits, including the celebrated scientist and early photographer John Herschel, defied conventions by using dramatic lighting and forgoing sharp focus in favor of conscientiously artistic effects that appealed to viewers familiar with Rembrandt’s chiaroscuro and the traditions of Romanticism. The photographic press criticized Cameron’s disregard for the “rules” of photography, which meant a strict adherence to sharpness of detail and seamless printing. How does a portrait like Cameron’s differ from the anonymous woman holding a daguerreotype or even that of Rufus Choate? The painter Oscar Rejlander, with whom Cameron had briefly studied, also created photographs with artistic ambitions. His Two Ways of Life drew upon the composition of Raphael’s School of Athens and was composed of 30 separate negatives in a combination print. It depicts two young men choosing between virtue or vice. Rejlander’s photograph demonstrates that although photography was seen as a truthful medium, it could also be manipulated. Two Ways of Life is an allegorical representation of Victorian morals, and was purchased by Queen Victoria’s husband Prince Albert, an early example of official government support for photography as an art form. Rejlander and Cameron challenged photography’s status as a faithful copy of reality in pursuit of art. During the American Civil War, long exposure times did not allow for battles to be captured. Photographs nonetheless brought home the graphic reality of war in a way painting could not, because viewers understood that what they saw in the photograph once existed in front of the camera. Alexander Gardner’s publication Photographic Sketchbook of the War combines photographs with war stories. He printed negatives from a variety of photographers, including himself. In Home of the Rebel Sharpshooter from July 6, 1863, Gardner dragged a soldier’s corpse and set it up with a gun that was not a sharpshooter’s in order to create a narrative. How does this photograph differ from other depictions of battle that we have viewed in class? Although composed, this photograph depicted the brutality of war in an un-Romantic way. For example, students might compare this photograph to Benjamin West’s The Death of General Wolfe (1770). Photography’s documentary capabilities made it a powerful tool of public persuasion. Seeing this potential, governments commissioned photographers to record political events, cultural patrimony, and other state activities. For example, photography was used in an official capacity to document far-flung places and important monuments, making them more accessible to a wider audience and preserving the past for posterity. Maxime Du Camp used the calotype to document Egypt’s monumental ruins and hieroglyphics for the French government in 1850. He created around two hundred paper negatives, and issued prints in albums of 25 each in 1851. Du Camp traveled with the writer Gustave Flaubert; the two sought picturesque scenes, bringing with them established aesthetic conventions.The European view of Egypt and the East was that it was exotic and uncivilized. To Europeans, the Egyptians could not manage their own cultural patrimony, and Du Camp’s project was therefore seen as preserving the ancient monuments against their loss to time. How can we see this sense of time passing recorded in Du Camp’s photograph? In the United States, photographers like Timothy O’Sullivan traveled on western expeditions surveying America’s landscape and natural resources for future settlement and economic exploitation, fulfilling the mission of manifest destiny. O’Sullivan had gotten his start photographing the Civil War. His photographs of the West, like Du Camp’s, carry with them predominant cultural values. The landscape was thus inscribed with current ideas about progress—the transcontinental railroad was completed in 1869—and predestined for development and prosperity. O’Sullivan’s photographs circulated in presentation albums amongst government officials, but to the general public primarily as prints and stereographs. Comparing two documentary photographs by Du Camp and O’Sullivan, what kind of information do they convey? How are they alike/ different visually? How might they have been useful documents? Armchair travelers in Europe and the United States were eager for photographs depicting what they perceived as exotic places and people. The stereograph, which capitalizes on binocular vision to create a seemingly 3-D image when viewed through a stereoscope, thrilled viewers by making these figures or landscapes appear even more realistic. Cheap and collectible stereocards became a drawing room entertainment among the middle class. The stereoscope is a prime example of how photography collapses time and distance, making the world apprehensible merely through the act of looking. Eadweard Muybridge contributed to the technological advances of photography while exploring its use as a tool in scientific experimentation. He documented a horse’s gait when at a full gallop. Setting up a series of stereoscopic cameras with shutters activated by trip wires, Muybridge was able to capture the gallop in stop motion, proving that all of the horse’s legs leave the ground at the same time. This had implications for artists, who had used the “rocking horse” position to depict galloping horses since prehistoric times. Muybridge traveled around the U. S. and Great Britain giving magic lantern slide shows of his photographs from his Animal Locomotion series, for which he produced series of stop action photographs of animals and humans engaged in various movements. He also experimented with early means of producing moving pictures, helping to pave the way for cinema. By the end of the nineteenth century, photography became even more accessible to the average person. George Eastman founded the Kodak company, which sold mass-produced cameras that came pre-loaded with a strip of film capable of 100 exposures. For a fee, the whole camera would be sent to Kodak to be developed, and the prints would be returned, along with the reloaded camera. Putting the camera into the hands of mothers, children, and friends meant that details of everyday life could be recorded spontaneously anywhere. How can we see the effects of Eastman’s innovation today? The Bigger Picture: From cheaply manufactured daguerreotype portraits to photographic publications and Kodak cameras, nineteenth-century photography truly became a mass medium. Photography also had a significant impact on art, since in it was understood to be the gold standard of optical realism. Classes on Realism and Impressionism will address how painters began to react to and use photography in their work, and in a future session on photography, we will discuss how a group of photographers known as Pictorialists embraced photography as an artistic medium in its own right. For a low-stakes—dare we say fun—take-home assignment, students might experiment with the New York Public Library’s Stereograminator, which allows you to animate stereograms from digital images in their collection and then post them to social media websites. Students could post these images to a class blog with a brief explanation of how the 3D aspect of their photograph affects the viewer’s understanding of the subject depicted.